One of the changes made between the first edition of the Eth CEPHER and the second edition are the changes found in Daniy’el 9. For many, this is alarming, because of course thousands of prophecies have been centered on every word of this Scripture passage. The question is, does the English we find in this prophecy square with the underlying Hebrew? Seventy weeks (shavua) are determined upon your people and upon your holy city, to finish the transgression, and to make an end of sins, and to make reconciliation for iniquity, and to bring in everlasting righteousness, and to seal up the vision and prophecy, and to anoint the most Holy. 25 Know therefore and understand, that from the going forth of the commandment to restore and to build Yerushalayim unto HAMASHIACH the Prince shall be seven weeks, and threescore and two weeks: the street shall be built again, and the wall, even in troublous times. 26 And after threescore and two weeks shall MASHIACH be cut off, but not for himself: and the people of the prince that shall come shall destroy the city and the sanctuary; and the end thereof shall be with a flood, and unto the end of the war desolations are determined. 27 And he shall confirm the covenant with many for one week: and in the midst of the week he shall cause the sacrifice and the oblation to cease, and for the overspreading of abominations he shall make it desolate, even until the consummation, and that determined shall be poured upon the desolate. For seventy Shavua, the people are cut off from the holy city, to finish the transgression, and to make an end of sins, and to make reconciliation for iniquity, and to bring in everlasting righteousness, and to seal up the vision and prophecy, and to anoint the Holy of Holies. 25 Know therefore and understand; from the going forth of the word to return and to build Yerushalayim until HAMASHIACH the Prince is seven Shavua, and threescore and two Shavua: return and build the wide place with eagerness in troublous times. 26 And after threescore and two Shavua, MASHIACH is cut off, but nothing of the holy city is ruined: and the people of the prince to come thereafter shall conquer until the war is decided with devastation. 27 And the greatness of the covenant multiplies for one Shavua: and in the middle of the Shavua, the sacrifice and the oblation cease, and the overspreading of abominations makes it desolate, even until the con-summation is determined and poured over the desolation. So, let’s take this prophecy verse by verse as it appears in the underlying Hebrew. Dan 9:24 שׁבעים (Shavu’iym) שׁבעים (Shavu’iym) נחתך (n’chathaq) על (al) עמך (am) ועל (v’al) עיר (ayar) קדשׁך (qodesh) לכלא (l’kala) הפשׁע (h’pesha) ולחתם (v’l’chatham) חטאות (chattah’oth) ולכפר (v’l’kafar) עון (avon) ולהביא (v’l’bo) צדק (tsedeq) עלמים (olamiym) ולחתם (v’l’chatham) חזון (chazon) ונביא (v’naviy) ולמשׁח (v’l’mashaq) קדשׁ (qodesh) קדשׁים׃ (qodeshiym). Shavu’iym shavu’iym n’chathaq al am v’al ayar qodesh l’kala h’pesha v’l’ chatham chattah’oth v’l’kafar avon v’l’bo tesdeq olamiym v’l’chatham chazon v’naviy v’l’mashaq qodesh qodeshiym. Shavu’iym (Seventy) shavu’iym (shavua) n’chathaq (cut off) al (the) am (people) v’al (and the) ayar (city) qodesh (holy) l’kala (finish) h’pesha (the transgression) v’l’chatham (and to seal) chattah’oth (offenses) v’l’kafar (and to make reconciliation) avon (iniquity) v’l’bo (and to bring) tesdeq (righteousness) olamiym (everlasting) v’l’chatham (and to seal up) chazon (vision) v’naviy (and prophecy) v’l’mashaq (and to anoint) qodesh (holy) qodeshiym (holies). For seventy Shavua, the people are cut off from the holy city, to finish the transgression, and to make an end of sins, and to make reconciliation for iniquity, and to bring in everlasting righteousness, and to seal up the vision and prophecy, and to anoint the Holy of Holies. Dan 9:25 ותדע (v’yada) ותשׂכל (v’t’sakal) מן (min) מצא (motsa) דבר (dabar) להשׁיב (l’h’shuv) ולבנות (v’l’banaw) ירושׁלם (Yerushalayim) עד (ad) משׁיח (mashiach) נגיד (nagiyd) שׁבעים (shavu’iym) שׁבעה (sheva) ושׁבעים (v’shavu’iym) שׁשׁים (shiyshiym) ושׁנים (v’shenayim) תשׁוב (teshuv) ונבנתה (v’n’banah’oth) רחוב (rechov) וחרוץ (v’charuts) ובצוק (v’tsukah) העתים׃ (h’eythiym). V’yada v’t’sakal min motsa dabar l’h’shuv v’l’banaw Yerushalayim ad Mashiach nagiyd shavu’iym sheva v’shavu’iym shiyshiym v’shenayim teshuv v’n’banah’oth rechov v’charuts v’tsukah h’ethiym. V’yada (And know) v’t’sakal (and consider) min (from) motsa (going forth) dabar (word) l’h’shuv (to the return) v’l’banaw (and to build) Yerushalayim (Yerushalayim) ad (until) Mashiach (MASHIACH) nagiyd (ruler/governor/commander/prince/leader) shavu’iym (Shavua*) sheva (seven) v’shavu’iym (and Shavua*) shiyshiym (sixty) v’shenayim (and two) teshuv (return) v’n’banah’oth (and builds) rechov (width) v’charuts (and with eagerness) v’tsukah (troublous) h’ethiym (times). A careful read here of the Masoretic text presents an issue. We see this word shavu’iym (which we also saw in 9:24). In this instance, this word is always construed as the plural form of shavua (meaning week or weeks), therefore shavu’iym. However, in 9:24 the word is first construed as seventy. Could it be that 9:24 opens with Weeks, weeks, instead of Seventy weeks? Know therefore and understand; from the going forth of the word to return and to build Yerushalayim until HAMASHIACH the Prince is seven Shavua, and threescore and two Shavua: return and build the wide place with eagerness in troublous times. Know therefore and understand; from the going forth of the word to return and to build Yerushalayim until mashiach the ruler (governor/commander) is seven Shavua, and threescore and two Shavua: return and build the wide place with eagerness in troublous times. I point out the word ruler being used instead of prince the MASHIACH because there are other words meaning prince, such as (נָשִׂיא) nasiy (Strong’s H5387) and (שַׂר) sar (Strong’s H8269). In the former instance above, the prophecy merely predicts an anointed rulers’ return, not necessarily the MASHIACH, but rather, a Mashiach. Dan 9:26 ואחרי (V’achari) השׁבעים (shavu’iym) שׁשׁים (shiyshiym) ושׁנים (v’shenayim) יכרת (y’karath) משׁיח (Mashiach) ואין (v’ayin) לו והעיר (lo ayir) והקדשׁ (v’ha’qodesh) ישׁחית (v’shachath) עם (am) נגיד (nagiyd) הבא (ha’bo) וקצו (v’kaytzo) בשׁטף (b’shateph) ועד (v’ad) קץ (kaytz) מלחמה (milkamah) נחרצת (n’karatz’oth) שׁממות׃ (shamam’oth). V’achari (And after) shavu’iym (Shavua*) shiyshiym (sixty) v’shenayim (and two) y’karath (cut off) Mashiach (MASHIACH) v’ayin (and nothing) lo ayir (of the city) v’ha’qodesh (and the holy) v’shachath (and ruined) am (people) nagiyd (prince/governor/ruler/commander) ha’bo (to come) v’kaytzo (and after) b’shateph (in a flood) v’ad (even unto) kaytz (after) milkamah (war) charats (decided) shamam’oth (devastation). And after threescore and two Shavua, MASHIACH is cut off, but nothing of the holy city is ruined: and the people of the prince to come thereafter shall conquer until the war is decided with devastation. Dan 9:27 והגביר (V’ha’gavar) ברית (brit) לרבים (l’rabiym) שׁבוע (shavua) אחד (echad) וחצי (chetsiy) השׁבוע (ha’shavua) ישׁבית (v’shabbath) זבח (zebach) ומנחה (v’minchah) ועל (v’al) כנף (kanaph) שׁקוצים (shiqqutsiym) משׁמם (m’shamaym) ועד (v’ad) כלה (kalah) ונחרצה (v’n’charatsah) תתך (nathak) על (al) שׁמם׃ (shamaym). V’ha’gavar (And the greatness/strength) brit (covenant) l’rabiym (multiplies) shavua (Shavua*) echad (one) chetsiy (middle) ha’shavua (the Shavua*) v’shabbath (and rest) zebach (the sacrifice/oblation) v’minchah (and oblation/offering) v’al (and upon) kanaph (the wing/edge) shiqqutsiym (abominations) shamame (devastate) v’ad (even unto) kalah (consummation) v’n’chartsah (and is determined) nathak (poured) al (over) shamaym (desolation). And the greatness of the covenant multiplies for one Shavua: and in the middle of the Shavua, the sacrifice and the oblation cease, and the overspreading of abominations makes it desolate, even until the consummation is determined and poured over the desolation. The first word in this passage is the word v’ha’gavar. Of course, the prefixes are designated by the apostrophe for purposes of better understanding. The (v) meaning and, the (ha) meaning the, leaving the word gavar. This word gavar in its traditional form means to be strong, mighty, mighty in power, comparatively stronger than, mighty among and can be summarized as great or in greatness. In a second form, it means to prevail, to make strong, to strengthen. Only in the last construction do we see the usage as to confirm (compel/force/constrain). While the context may justify the personification of the verse (“And he shall”) no such language exists in the actual text. And what happens to the prefixes attached to gavar? Do they set the context for the interpretation, or are they to be ignored? Refer to the other translations – they are omitted in order to obtain the context desired, a context which does not appear in the actual text. (רַב) rab (Strong’s H7227). Strong’s appoints this as a contraction from the word râbab (Strong’s H7231), which together give a meaning of being increased -especially in number; abundant (in quantity, size, age, number, rank, quality); multiplied by the myriad. And he shall make [not found in the text] a firm [no the] covenant with many [many does not appear] for one week. But in the middle of the week he shall cause [not found in the text] the sacrifice and the offering to cease. And on the wing of abominations shall come one who [not found in the text] makes desolate, until the decreed destruction is poured out on the desolator. And he shall [not found in the text] confirm [no the] the covenant with many [many does not appear] for one week: and in the midst of the week he shall cause the sacrifice and the oblation to cease, and for the overspreading of abominations he shall [not found in the text] make it desolate, even until the consummation, and that determined shall be poured upon the desolate. Then he shall [not found in the text] confirm [no and, and no the] a covenant with many [many does not appear] for one week; But in the middle of the week He shall bring [not found in the text] an end to sacrifice and offering. And on the wing of abominations shall be one who [not found in the text] makes desolate, even until the consummation, which is determined, Is poured out on the desolate. He will [not found in the text] confirm [no and, and no the] a covenant with many [many does not appear] for one ‘seven.’ In the middle of the ‘seven’[b] he will put [not found in the text] an end to sacrifice and offering. And at the temple [no such word in the Hebrew] he will set up [not found in the text] an abomination that causes desolation, until the end that is decreed is poured out on him [contextual extrapolation not found in the text]. And he will make [not found in the text] a firm [no the] covenant with the many [many does not appear] for one week, but in the middle of the week he will put [not found in the text] a stop to sacrifice and grain [contextual extrapolation; true, but not completely true] offering; and on the wing of abominations will come one who [not found in the text] makes desolate, even until a complete destruction, one that is decreed, is poured out on the one who [not found in the text] makes desolate. And he shall [not found in the text] confirm [no the] the covenant with many [many does not appear] for one week: and in the midst of the week he shall cause [not found in the text] the sacrifice and the oblation to cease, and for the overspreading of the abominations, he shall [not found in the text] make it desolate, even until the consummation determined shall be poured upon the desolate. And he shall [not found in the text] confirm [no the] brit (covenant) with rabbim for one heptad; and in the midst of the heptad he shall cause [not found in the text] the zevach and the minchah to cease, and on the kenaf (wing) of the abominations is one making desolate, even until the complete destruction, a destruction that is decreed, shall be poured out upon the Shomem (Desolator, Destroyer). In conclusion, there may be disagreement with the construction of the Hebrew here, some of which may be problematic because Daniy’el may have been interpreted from another language into Hebrew initially. 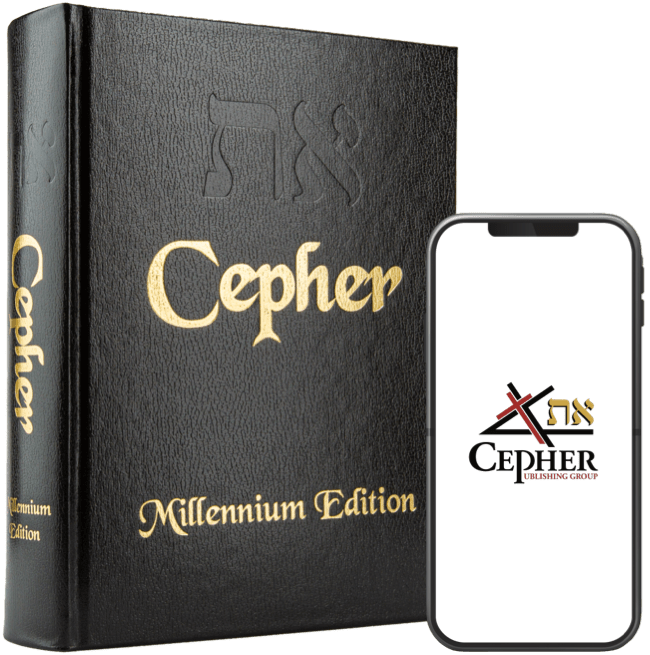 Nonetheless, many passages in the text are subject to more than one construction, especially when dealing with Hebrew, where one word may require a sentence in English – or even a paragraph – to fully explain and exhaust its underlying meaning. There are those, to be sure, who have wrenched every drop of meaning from the English interpretation of this passage, perusing through translations until they reach that translation which will yield the fruit of their desires. We, however, hold that the translation set forth in 9:24-9:27 to be valid, even if it is in disagreement with other preferences. When you consider this, please reread the English versions set forth above, and take notice as to how different each of them are to one another. How is it that there could be so much deviation? We conclude that the meaning of this passage is not quite set in stone. Hebrew readers I am sure will completely understand, because the depth of the language is not easily translated. It is anathema to any scriptural understanding, however, to wrench out a prophecy that is based upon terms that don’t actually appear in the Hebrew at all. Such prophecy incites a private interpretation and has the potential to mislead. It strikes me that this passage has that capacity more than any other in Scripture. Consider then as you will.